The new Columbus, Ohio-based low-fare U.S. airline Skybus doesn't release its fares to any Web Site but its own. 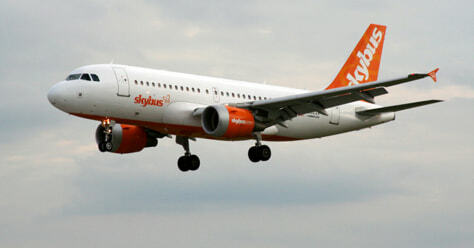 Like many low-fare airlines, Skybus operates just one aircraft type, in this case the Airbus A319. This A319 is captured landing at Skybus' home base at Port Columbus International Airport.